Livre des Projets 2019 - Meet l’Atelier’s selected directors in Cannes! L'Atelier has selected 15 projects from 15 countries for their artistic quality and their originality. 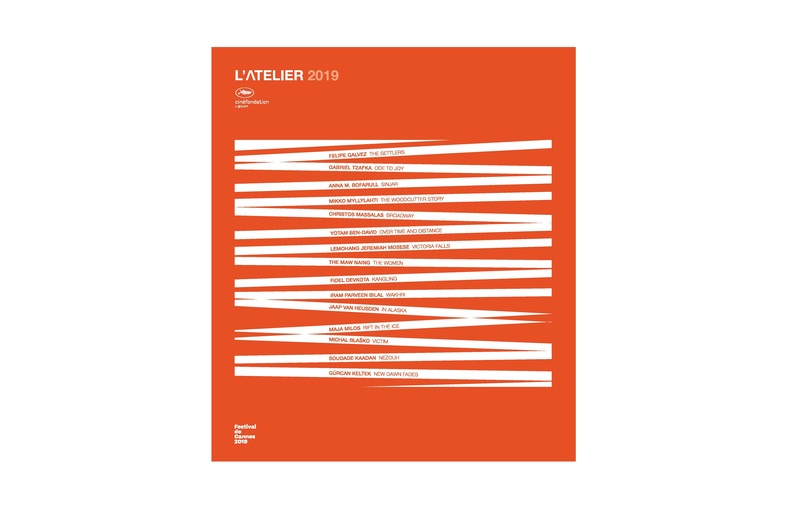 In order to help complete financing for the projects, L'Atelier will arrange meetings with the directors from May 16 to 22 at Village International Pantiero (Pavilion 227). Every year the Cinéfondation presents 15 projects to the Atelier that it has chosen for their artistic quality. The number selected is deliberately small so that each one has more impact and can obtain a better result. The first mission of the Atelier is to spotlight the work of film makers who are already known for their previous work regardless of whether it was a first feature or several short films, or even a rich body of work composed of several feature films. The basis of our decision is made on the quality and originality of this artist's project. Our second mission is to support the independant producers who have signed up for the project. We all know just how hard they have to fight in order to defend and show demanding and innovating cinema d’auteur. The annual selection of the Festival de Cannes is living proof of this. Finally, the Atelier’s mission to search out the additional financing required for the film to be made. For each day of the Festival, we have arranged meetings with professionals who are in a position to help (producers, distributors, grant-giving institutions). After 14 years of experience, our results show that almost all of the films we supported at the project stage have been made, most of them in the year following their presentation here at the Atelier. We thank you in advance for the welcome you will give to the 2019 selection of the Atelier. And Register on our platform to book some meetings before May 6th!